I've looked up some of the other Q&As on this topic, however, none have addressed what I am seeking to do. I have a large data set and I would like to search one field for any values over a certain amount (in this case 20) and if the value is larger than 20, I would like to return a value of 1 in another field, otherwise return a value of 0. I have tried writing something with no luck. I am using QGIS 2.8. This expression will evaluate to a boolean True/False which will be represented as an integer 1 or 0. You can also create a virtual field, which will automatically return an updated value in case the values in cat change (e.g. you edit the layer). Remember that the values of virtual fields will not be saved in the dataset and are only visible inside this QGIS project. Not the answer you're looking for? 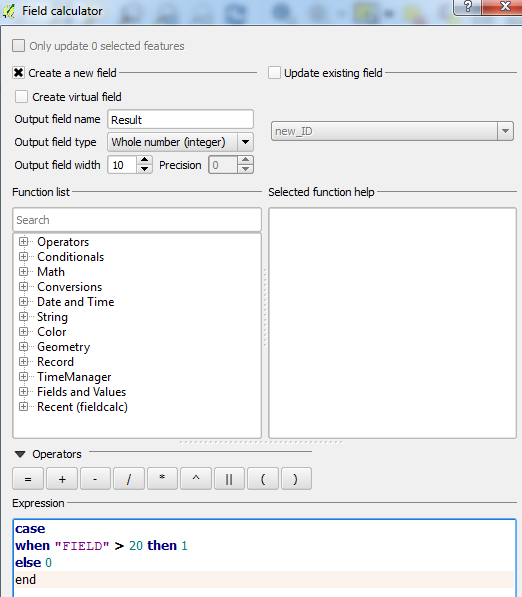 Browse other questions tagged qgis field-calculator conditional or ask your own question. 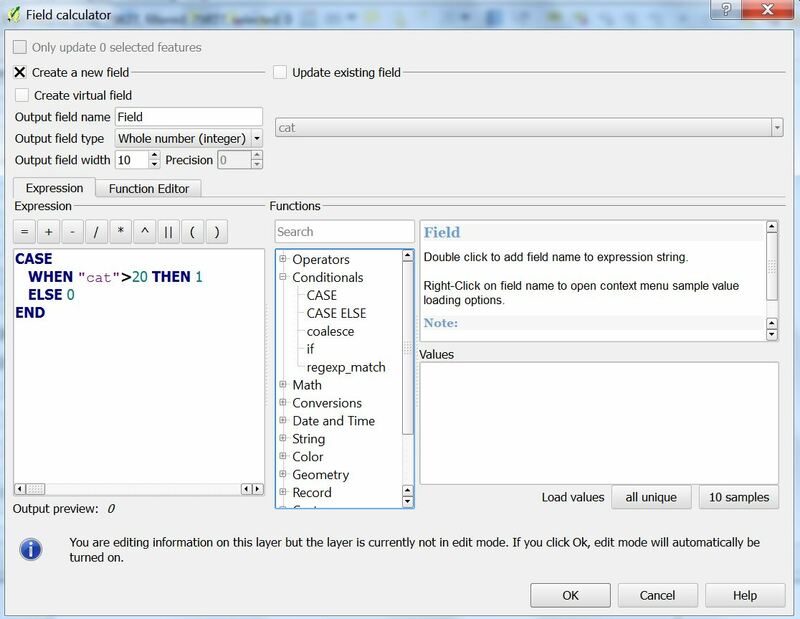 Creating in-line variable is possible in field calculator of QGIS 2?